Wondermilk.. somehow or rather always reminds me of Wonder Pets theme song.. Wonder Pets Wonder Pets we're on the way.. to help a baby animal and save the day.. we're not too big and we're not too tough.. but when we work together we've got the right stuff! Goooo Wonder Pets! Yeah! 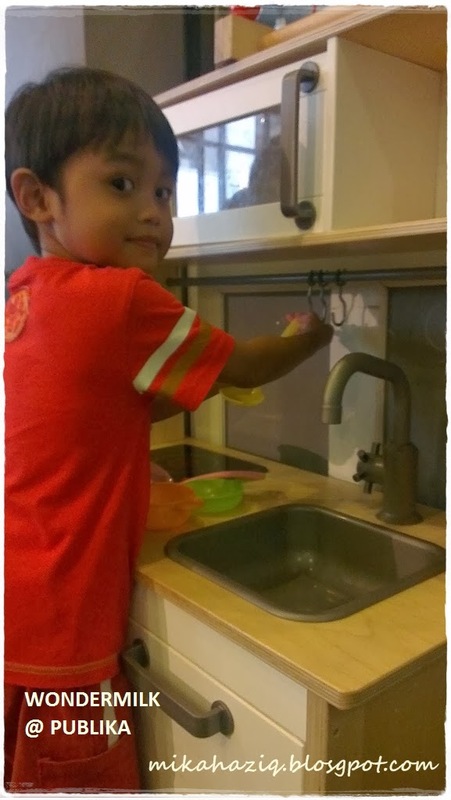 So... that should give you a clue that I am a mom of small kids haha! 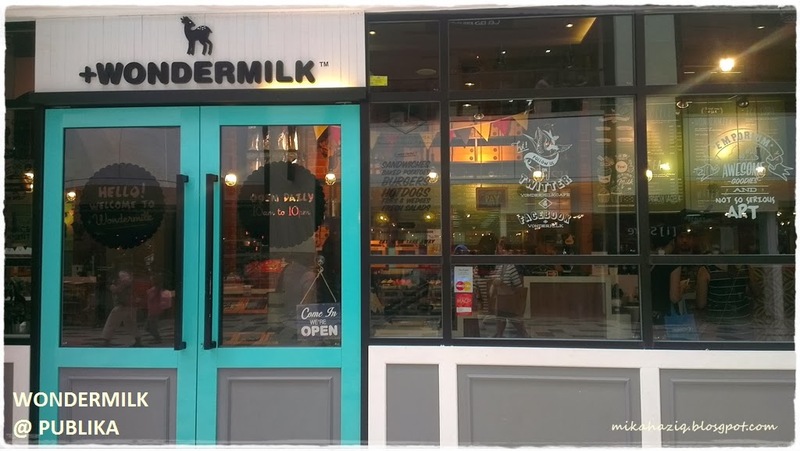 All right, seriously.. wondermilk.. drove by the restaurant a couple of times at Damansara Utama but never really felt compelled to check it out though I know that the place is halal. Reason being hubby will not be willing to be dragged to a particular place that is not in a shopping mall that sells sandwiches and cupcakes. 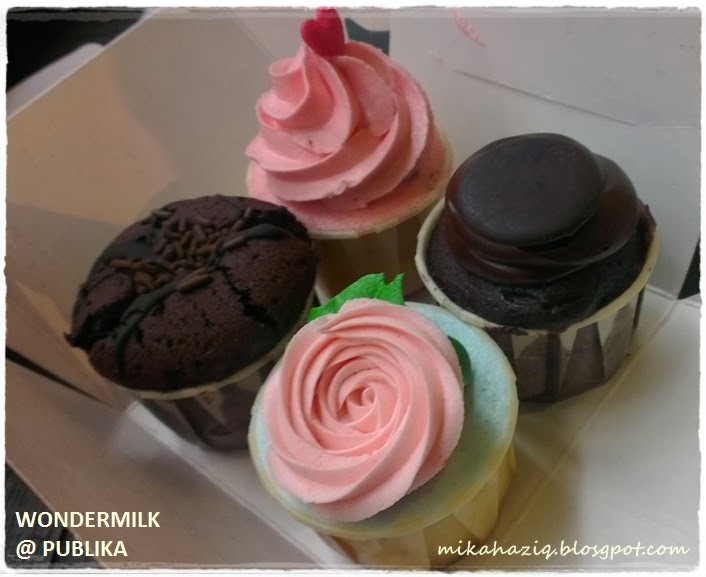 But, even when they opened an outlet at Publika, we still didn't eat there until SIL came from Singapore and said that she has to go Damansara Utama to get these particular cakes in a jar that her daughter specifically asked for. And I am like "errm.. which shop is that?" And she said "Wondermilk" and I said "ceh.. ok.. 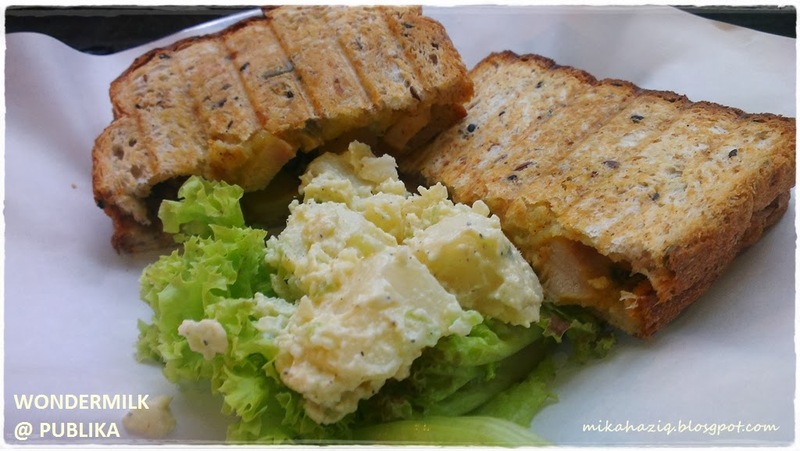 I bring you to Publika, its nearer". And so our first encounter with Wondermilk begins... there is another reason I try to avoid Wondermilk actually.. and that is because my 5 year old boy has a very sweet tooth and a very good memory. If I bring him once to any shop to buy cupcakes, he will remember the place the moment we enter the building's car park and there can be no escape! The colorful layered cake in a jar.. I don't quite like it. I find it a bit tough and not airy plus am never a fan of too much coloring. The vanilla cupcake and cookies and cream cupcake frosting was too sweet for me but my 5 year old finished every single bit. The only thing that I really like was the peanut brittle, very crunchy and sweet though I still shudder to think of the amount of sugar in it. 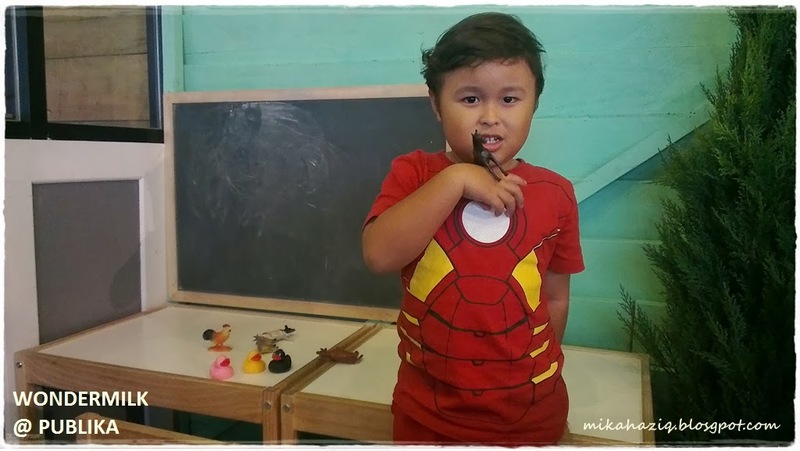 Last weekend, we headed to Publika for their arts class and -sigh- of course my 5 year old immediately remembers Wondermilk, hence our second visit to Wondermilk. This time around he chose vanilla cupcake and strawberry chips cupcake while my 3.5 year old chose double choc and flourless choc cupcake. I was hungry so I ordered honey mustard chicken sandwich and hubby ordered asian grilled chicken salad. 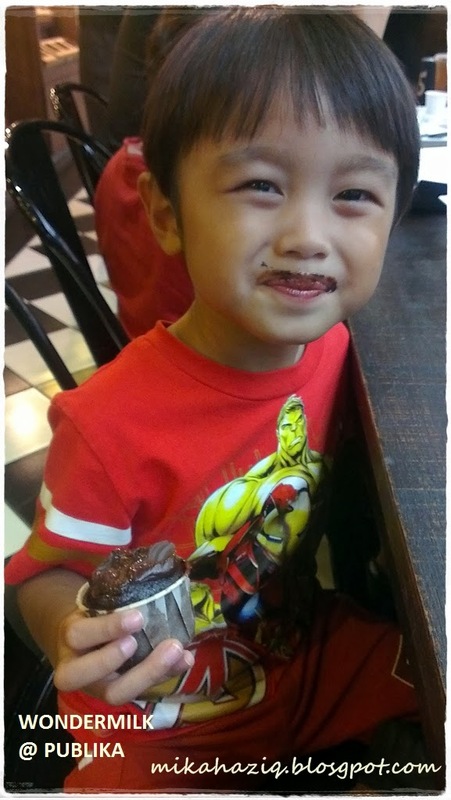 My 5 year old didn't like the strawberry chips cupcake, nor did he like his brother's flourless chocolate cupcake. For myself, I still prefer Marmalade's mini cupcakes or even Cupcake Chic. The asian grilled chicken salad was a delight though. 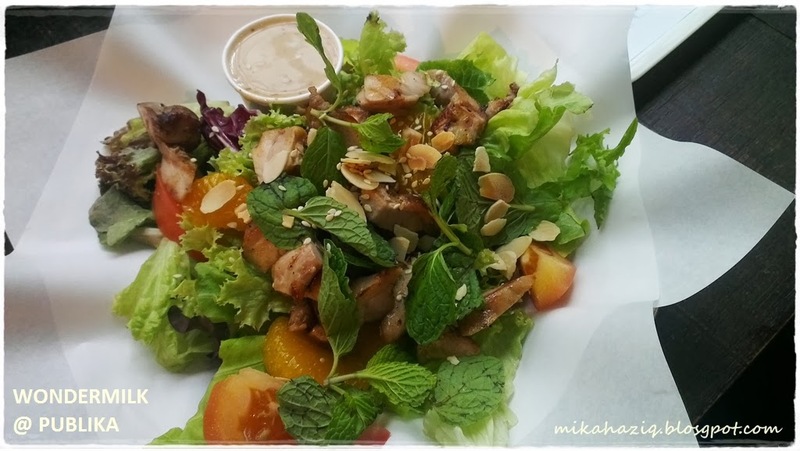 Crispy greens, crunchy nuts, sweet mandarin oranges, grilled chicken and the dressing (mint leaves and sesame) is novel to us. This salad gets our thumbs up! My honey mustard chicken comes with cold potato sides (I don't like cold potato side, I like mine warm) The potato is edible but I guess could use a tad more black pepper and celery. The honey mustard dressing was a bit too much and spilled out the edges of the sandwich (which makes eating messy) and also made the otherwise delicious multigrain bread mushy. So, even though we like Marmalade's cupcakes better and Marmalade's has bigger kids play area. 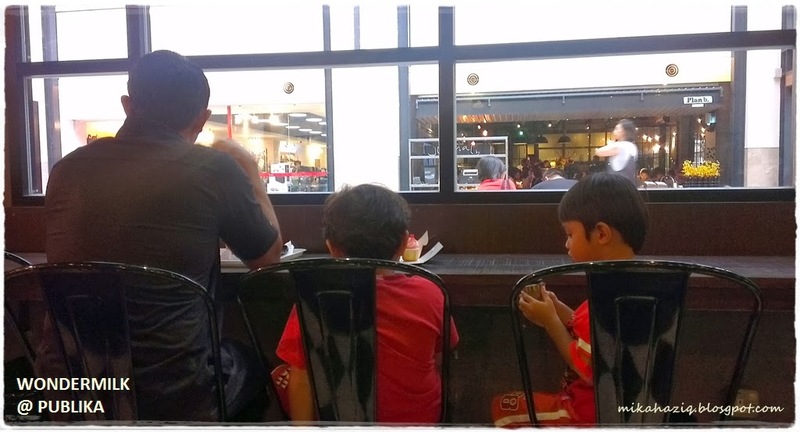 Wondermilk's better tasting food options for adults makes it a viable alternative when eating out with the kids as it does serve cupcakes, it offers kids menu and a kids play area albeit very small. 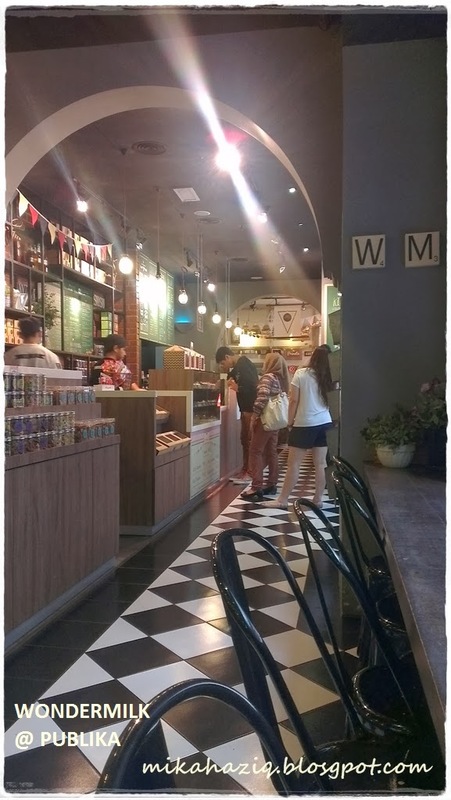 For those who have heard of Wondermilk's fame and wish to try their famous Wondermilk (which I am not going to try anytime soon as I am desperately trying to lose weight). Publika's outlet is the nearest to KL city if you are staying in a hotel in KL. Damansara Uptown is nearer only if you stay in a hotel somewhere in Petaling Jaya.